Achieve poreless skin perfection in a flash with the expertly designed Brush 01. Decadently soft with a unique slanted shape, this Japanese-made stippling brush makes blending liquid, cream, and powder foundations to an airbrushed finish quick and easy. Brush 01 is also available with The Collection. Buff liquid, cream, or powder products into skin with light, circular motions. For sensitive or dry skin, use gentle downward strokes to minimize the look of facial hair or dry, flaky patches. For extra coverage, stipple product in a soft patting motion. Brush 01 is also ideal for applying blush, contour, and highlighter. 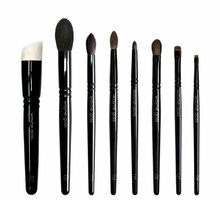 Wayne walks us through all the ways to create a flawless complexion with Brush 01. Learn how to diminish the appearance of facial hair, disguise large pores, contour, and highlight. I love goss and really, really want to love this brush but honestly I was slightly disappointed, for me this was a big purchase and not getting much use out of it. I thought it'd be soft but really it was just very stiff, definitely a stifling brush but doesn't have the soft give(flexibleness) that lets me blend it nicely. I ended up with very streaky makeup application. Also these hairs are really delicate and hard to wash since no matter how gentle I am, the fine hairs at the end start to spring out and break whenever I wash. I use this for my liquid foundation and its too much trouble worrying about this expensive brush all the time just for a streaky application. Also I have to use a lot of product with this brush. I have dry skin which I exfoliate and moisturize but this definitely tugs and creates micro-exfoliation on my dry skin no matter how I put it on. This saddens me because I love my other Goss brush but I am afraid to try his other brushes in fear of being disappointed again. Sorry, not very happy with this even though I love Goss. It's great to blend out under eye concealer. I wouldn't use it for foundation it just would take a super long time to do that. No way! Just because it says it's a foundation brush that doesn't mean u have to use for that. People knock stars off for that reason which I really don't agree. 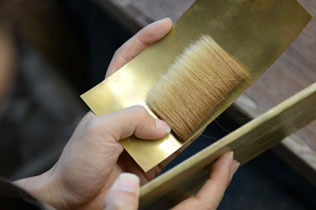 It's a great quality brush and I find it very useful. Blend some under eye concealer and use it for cream highlight or cream blush. It's similar size to the mac 130 but goss brush is slanted and softer. Sorry about my dirty wayne brush it is very much loved. It's ONLY for SIZE comparison. The brush is dense yet the very top is sparse, like a stippling brush. It is much smaller than I would like. The size would be great for contouring, spot correction, &/or touch-up (all my friend pointed out and I agree.) I wonder if making it larger would have the same effect. The first time I used it I thought my face looked flawless but then again I had used a new foundation and finishing powder. So to test I used my other brush from Sephora (Classic Mineral Powder Brush #45) and it was definitely not the same. It was just okay compared to what the Wayne Goss brush achieved. So the day after that I used the Wayne Goss, and viola! 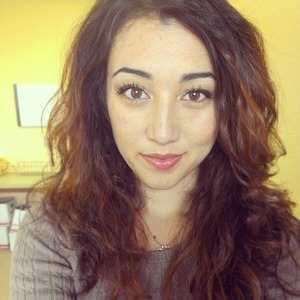 flawless face. Doesn't seem to be a coincidence. I'm still not sure I believe it. I mean, come on, guys, it's just a brush. But man! I'll have to do more tests. Best foundation brush I ever used, and I have tried many foundation brushes, including flat ones from bobbi brown, Channel, new real technique triangle one. I prefer the duo goat synthetic brush for applying foundation. I have MAC 187, 130, hakuhodo B5554 and Shiseido. WG 01 is similar size to MAC 130, which is actually my faviourte size for foundation. Hakuhodo B5554 is slighter bigger and I use if for darker shade foundation or cream contour. WG01 has the most soft synthetic hair. It blends foundation so evenly and it feels like heaven. I do not find it taking to long to apply foundation for the whole face like others said. I use it for my rush morning makeup as well. I highly recommend this brush. I am brush obsessive and have been for many years. I find myself retiring several of my previous brushes each day as I continue to use and fall in love with Wayne’s set. 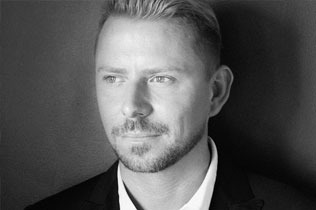 I am very thrilled to own the Wayne Goss Brush set and using them during a recent holiday coach tour in Europe made my morning makeup application quicker and easier than usual as well as leaving me looking more polished. 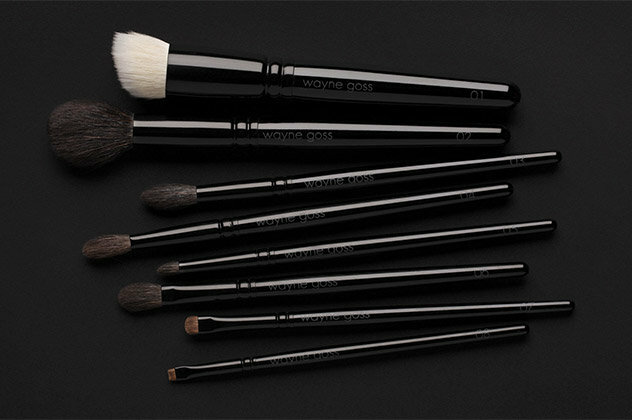 Wayne Goss has hit a homerun with these brushes and I thank Beautylish for making these available so easily in the US. My haircolorist was so impressed with the set when I showed it to her that she wants one for herself. They are irresistible! I don't use it for that! But what I do like this brush for (A LOT) is applying cream blushes (Stila convertible colors, for example) and for dabbing on liquid highlighting products, like those from Becca. 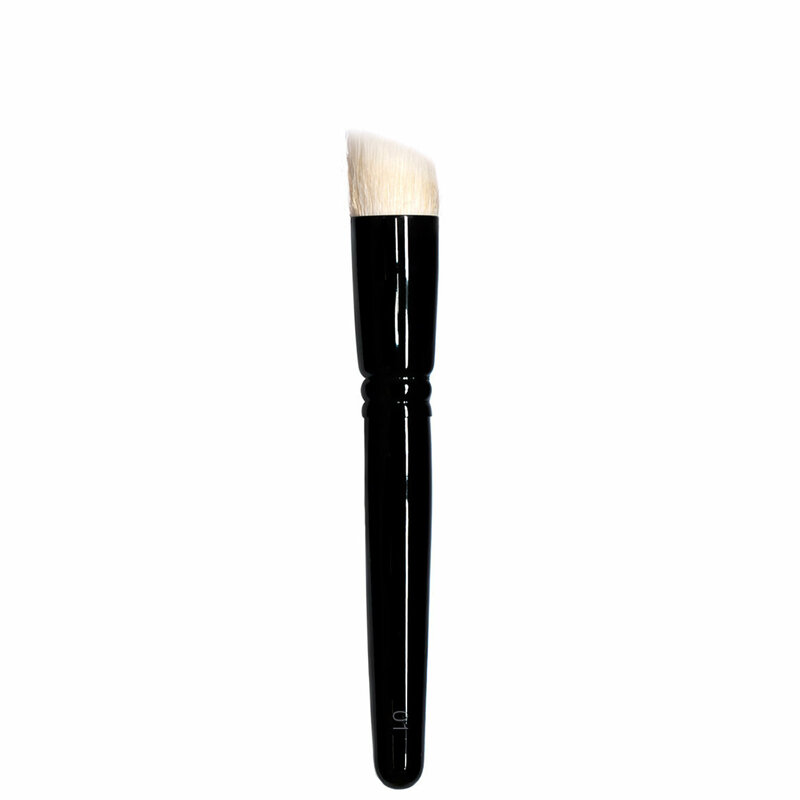 The size is perfect for work on the cheek area; and the construction of the brush makes it very well suited to the sort of concentrated stippling that goes into the application of products like these. The brush pushes product into the skin seamlessly and softly; and, even when working over foundation, it doesn't disturb the work you've done underneath your cream blush or highlighter. It may not be a 100% essential brush (some would argue that you can always use your fingers for these things), but I'd still recommend it highly. Save your fingers; use the Goss #1. The Ultimate Brush for Liquid, Cream and Powder Formulations! I have to admit that I didn't like this brush when I first got it. It's way too small to do a full face of foundation. However, I was watching one of my favorite beauty vloggers, Flowerbomb31 and she suggested using it for under eye concealer and cream highlighters. OMG!! This brush does the most flawless job of blending my MAC ProLongwear concealer. LOVE! 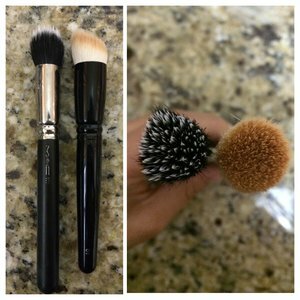 This brush is very soft and has densely packed bristles that apply liquid foundations beautifully. 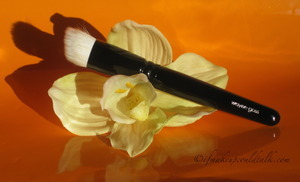 The brush creates a very light coverage to start and only picks up a small amount of product. My only complaint is that I would want a larger version for my whole face and use this one for spot coverage around eyes, nose and blemishes. I was pleasantly surprised that it washes back to white every time.